I read this article and found it very interesting, thought it might be something for you. The article is called Zero hours contracts in 2016 – zero gain? and is located at https://www.rocketlawyer.co.uk/blog/zero-hours-contracts-2016-zero-gain/. Zero hours contracts in 2016 – zero gain? Zero hours contracts have attracted a lot of conversation in recent years, with particular regard to exclusivity clauses. In July 2014, we considered the proposed changes to zero hours contracts, including the governmental ban on exclusivity clauses. Now, in 2016 we look at how employers have responded to the ban, and additional legislation from the government including The Exclusivity Terms in Zero Hours Contracts (Redress) Regulations 2015. A zero hours contract enables an employer to hire staff with no guarantee of work or where the number of hours of work is not known. The employer is not obliged to provide the worker with minimum working hours. The worker is not obliged to accept any hours that are offered. Zero hours contracts enable staff to work on a casual basis, when work demands are irregular or where there is not a constant demand for staff. For workers, this means greater flexibility in their working patterns and control over their work hours and income. For businesses, usage of zero hours contracts means that workers are paid only for the direct work they do. 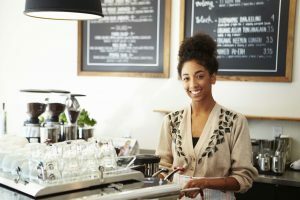 This can be particularly advantageous for small businesses and startups where workers may not be needed on a fixed basis. The Small Business, Enterprise and Employment Act 2015 provided that any rules in a zero-hours contract which prohibit a worker from working elsewhere, whether with or without the employer’s consent, is unenforceable. This represented a significant step towards tackling the perceived abuse of workers by employers, particularly of low paid workers. However, employers found ways to avoid the ban, for example, by providing a degree of certainty in the work they provided or offering less work to, or dismissing workers who have jobs elsewhere. From January 2016, employers who subject a worker to a detriment or dismiss a worker because he or she has ignored an exclusivity clause in a zero-hours contract could find themselves subject to an expensive claim. The changes came into effect under The Exclusivity Terms in Zero Hours Contracts (Redress) Regulations 2015, which introduced the entitlement for workers to bring a claim for detriment. A worker will be entitled to bring a claim for automatic unfair dismissal where the reason given by the employer is breach of an exclusivity clause in a zero hours contract. Workers bringing an unfair dismissal on these grounds will not need to show that they have the two year qualifying period of employment. While the changes certainly afford workers greater protection, employers still need to familiarise themselves with how the regulations work in practice so as to avoid any unintended consequences. For instance, employers use exclusivity clauses because they do not want workers working for competitors, which may cause unfair competition or confidentiality issues. Employers should therefore ensure that they review their employment contracts to ensure that they are protected from this perspective whilst not falling foul of the regulations. If you’d like further advice about zero hours contracts or any other issue raised in this article, you can always Ask a lawyer. The gig economy – where are we now?